It had been assumed that early man lived on a diet of large mammal meat or nuts and leaves. But academics from Heriot Watt-University and Wayne State University have revealed that insects could have been a major source of food for humans around 1.8 million years ago – making up almost 50 per cent of our ancestors diet. The discovery came about by chance, after tests were carried out on unusual looking mud, taken in excavations at Olduvai Gorge, Tanzania. When testing the mud at Heriot-Watt, it was confirmed that the sediments were in fact, an ancient termite nest. And after comparing carbon signatures in fossil teeth found at the site to carbon signatures in the potential food source, academics made the ground-breaking discovery. Dr Clayton Magill, Research Fellow, Heriot-Watt University said: "The discovery came about by chance when I showed a friend who is an insect expert, a picture of the unusual looking soil and discovered it was in fact a termite nest. 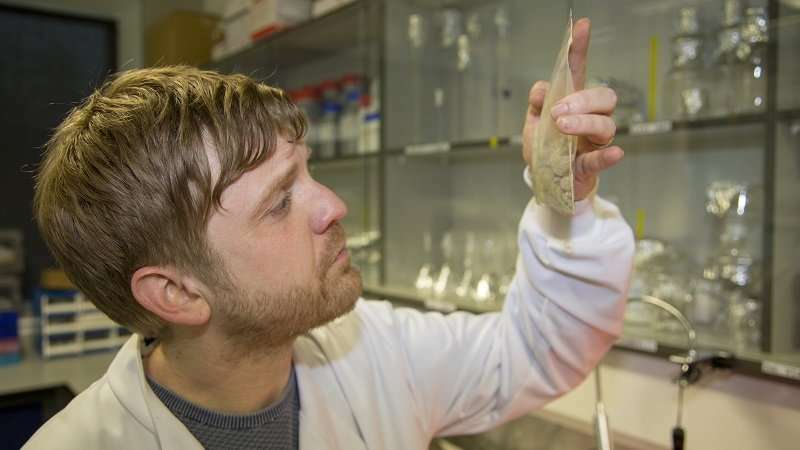 "We have specialist equipment in the Lyell Centre which is only in a dozen or so labs worldwide, which was able to test, detect and isolate the fossils. "We've found that insects were in fact a major food source millions of years ago and now we want to go to other archaeological sites to see if any others exist. "This is one of the most exciting and interesting research projects I've had the pleasure of working on and there is so much scope to find out more. "We've been trying to make this connection for the past 40 years, and we've finally found it. It's evidence of forensic evidence from the past, in action now." Dr Julie Lesnik from the department of Anthropology at Wayne State University in Detroit, said: "Insects are an important food source for billions of people in the world today but researchers tend to ignore this food source when reconstructing past diets. "We now know that hominids at Olduvai would have been living alongside the exact type of termites that are preferred as food today and that they were likely too valuable of a food source to be passed up. "Many people today are studying the potential of utilizing insects in our modern diets as a way to feed the growing global population. This research helps that cause because we can show that eating insects has always been a part of the human condition."